Each May HEF of NU invites a distinguished scholar of the Holocaust to deliver the annual Theodore Zev Weiss Lecture in Holocaust Studies. The lecture is open to the public and is followed by a reception that honors Theodore Zev Weiss and his family. Past lecturers have included Professors Omer Bartov, Christopher Browning, Gerald Feldman, Jan T. Gross, Peter Hayes, Dagmar Herzog, Francis Nicosia, Mark Roseman, David Roskies, Eric Sundquist, and James E. Young. Professor Nikolaus Wachsmann teaches modern European History at Birkbeck College (University of London). He has written widely on Nazi terror, most recently KL: A history of the Nazi concentration camps (Farrar, Straus and Giroux, 2015), winner of the Wolfson Prize, the Mark Lynton History Prize, and the Jewish Quarterly-Wingate literary prize. He serves on the advisory boards of memorials in Sachsenhausen, Ravensbrück, Belsen and Mauthausen, and has devised an AHRC-supported educational website on the concentration camps. The 2018 lecture was delivered by Marion Kaplan, the Skirball Professor of Modern Jewish History at New York University and author of Between Dignity and Despair: Jewish Life in Nazi Germany. 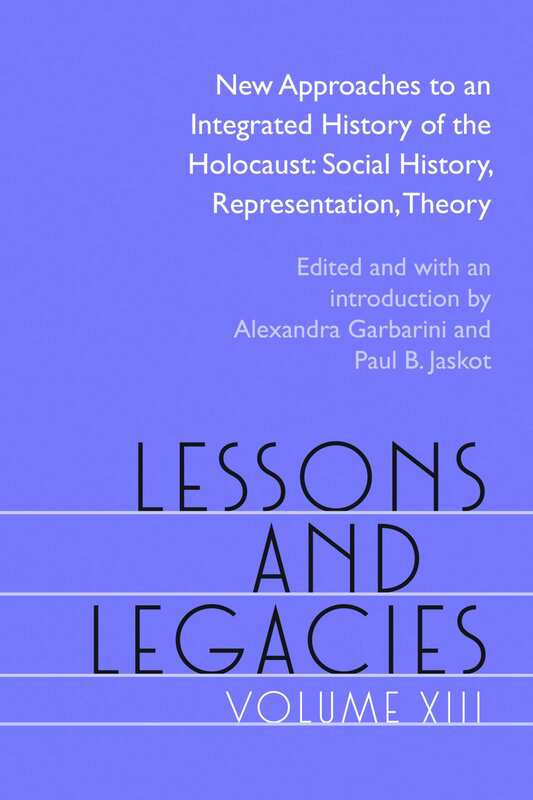 One of three books by Kaplan to have won the National Jewish Book Award, this volume, published in 1998, was among the first to explore how gender influenced individual and collective Jewish responses to Nazi policy. Since then, research on gender and the Holocaust has proliferated. Kaplan discussed the state of the field before and since the release of her pivotal and seminal work. The lecture took place on Thursday, May 3, 2018 in Harris Hall 108. The 2017 Theodore Zev Weiss lecture, “The Ravine: Researching the Holocaust” was delivered by Professor Wendy Lower of the United States Holocaust Memorial Museum. The lecture took place on May 10, 2017 in the McCormick Tribune Forum on Northwestern’s Evanston campus.